Well, there’s another month done and gone! I managed to make 25 blocks this month, in spite of myself. 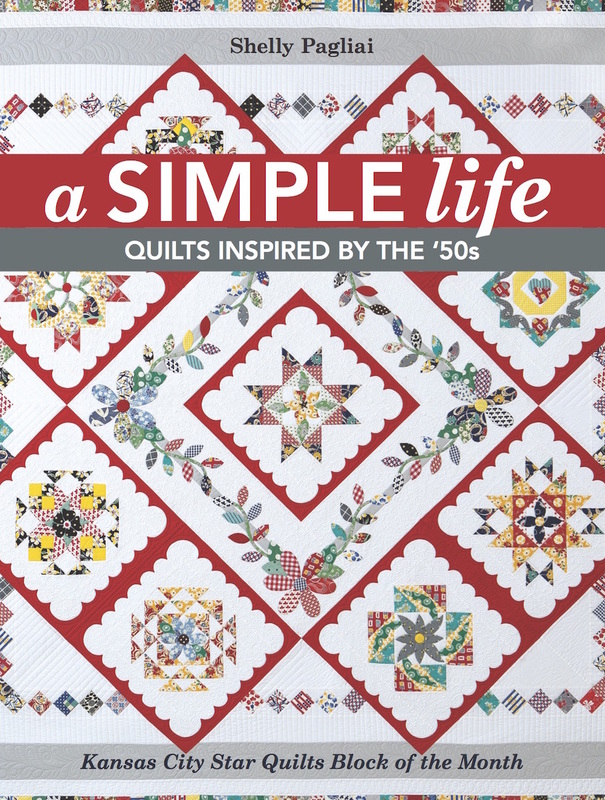 This quilt is the Happy and Scrappy Quilt from the Quilt-Along over on my other blog, The Life of Hazel Ilene. I’ll post better pictures in a week or so. The Quilt-Along is in full swing, and it’s free, so if you want to use up a few scraps and join in the fun, hop on over there and check it out! There’s also a give-away going on over there that you still have time to get in on, if you want. It’s to celebrate Hazel’s 1000th diary entry, a phenomenal feat! Go HERE and leave your comment for a chance to win. I also made 16 blocks for a quilt I’ll show you soon. 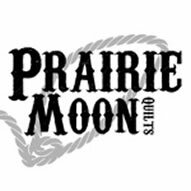 I just have to take the time to do some quilting for myself and then follow that up with some photography — time just gets away from me! So now it’s your turn. Leave a comment or contact me and let me know how you did this month. We don’t have very many more months to get stuff done in 2014! Can you believe it’s flying by so fast? I’ve updated the page with all the latest information. 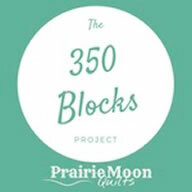 Next month’s goal is another 30 blocks, for a yearly total of 290. 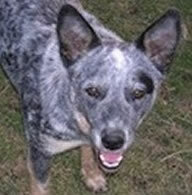 The prize winner for August is: Judy S.
Congratulations, Judy! I’ll get your prize out to you. Now you all go get stitchin’. October will be over before you know it! Finally a month when I got to quilt some. I made 130 blocks this month. Woohoo! I’m excited about winning the August prize. 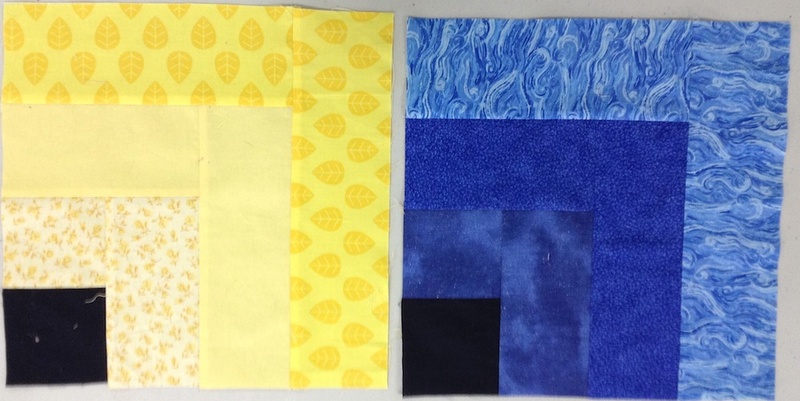 I only had 25 blocks for September, but do have that king size quilt machine-quilted and bound. I’m pretty proud of that accomplishment. Twenty of my September blocks are split nine-patch from a Bonnie Hunter design. Beginning to try layout patterns, so moving along on that project. Thanks for keeping me moving. Gosh, I made 115 this month! My bed quilt is slowly taking form. 60 blocks for me.. I hope I get to 350! Didn’t do well this month but we are on the road again headed to Tx for winter months so will get up to speed I know. A good month for me–I got 67 blocks made. Your scrappy and happy quilt-along got me back into the sewing room. I made the second row so far and am working on the applique circles now. I also made 4 rows for a coin quilt. So if each row is a block, guess I’ve made 5. One quilt totally finished – I only had to quilt and bind it. Not a single block made in September. 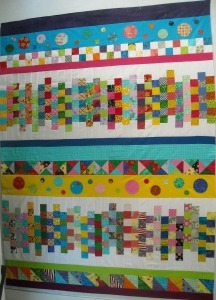 Need to quilt the 50+ quilt tops I have sitting in line for their turn on the longarm!! I did 17 new Farmer’s Wife blocks and 1 redo for a total of 18. Now, I have completed all 111 blocks. Yahoo!!!!! Got 35 blocks done this month. All for newest grandbaby quilt. I made 28 blocks. Some were for my flowering snowball quilt and some for my two charming star quilts I am working on. I added 32 this month, for a (sort of) grand total of 254 for the year. It isn’t a high number, but I am pleased, all things considered. 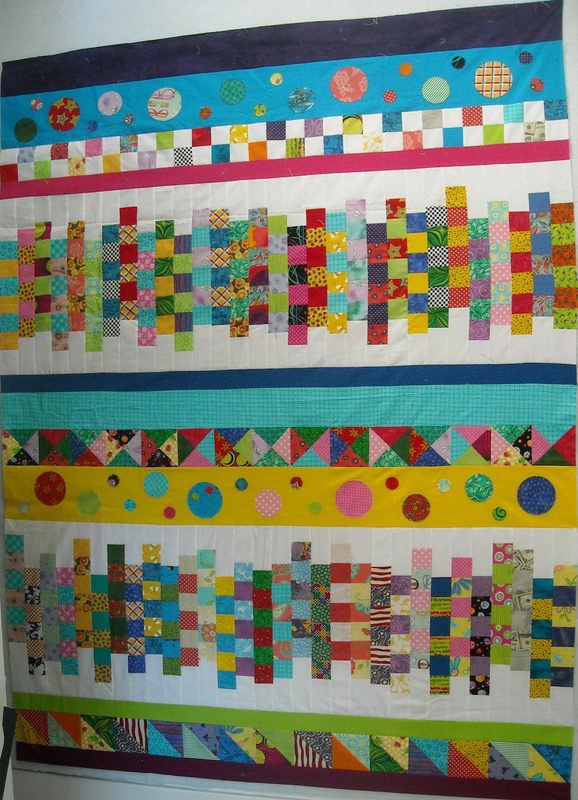 It included the spool quilt, which I made just because to make me happy…no regrets! no excuses! I finished 60 blocks this month. I made a twin sized quilt and a 50″x50″ quilt also. I also started a new QAL. It was a good month for me–81 blocks made! This month I made 9 blocks for a total of 541. I used charm squares to make disappearing nine patch blocks for a baby quilt for a coworker. I completed that quilt from start to finish, bound two quilts, and got another top put together and quilted. It was a really productive month! September Report. 30 blocks. I love your rows quilt. Only seven? I would have thought more! I only made 28 blocks this month. However, I did get almost 5,000 small squares cut for a scrappy 9 patch quilt that I will be starting next week, as soon as I finish a quilt for my niece. I can’t wait! I did not turn in my completions for July or August so this is a total for 3 months. I completed 116 blocks. I now have 354 for the year. 20 new blocks, for 540 total!